Out on the road writing from a motel today. Today we went up for brunch at the Leigh Sawmill Cafe – a great place to stop for a meal & band, or on the way to Goat Island, about an hour north of Auckland. 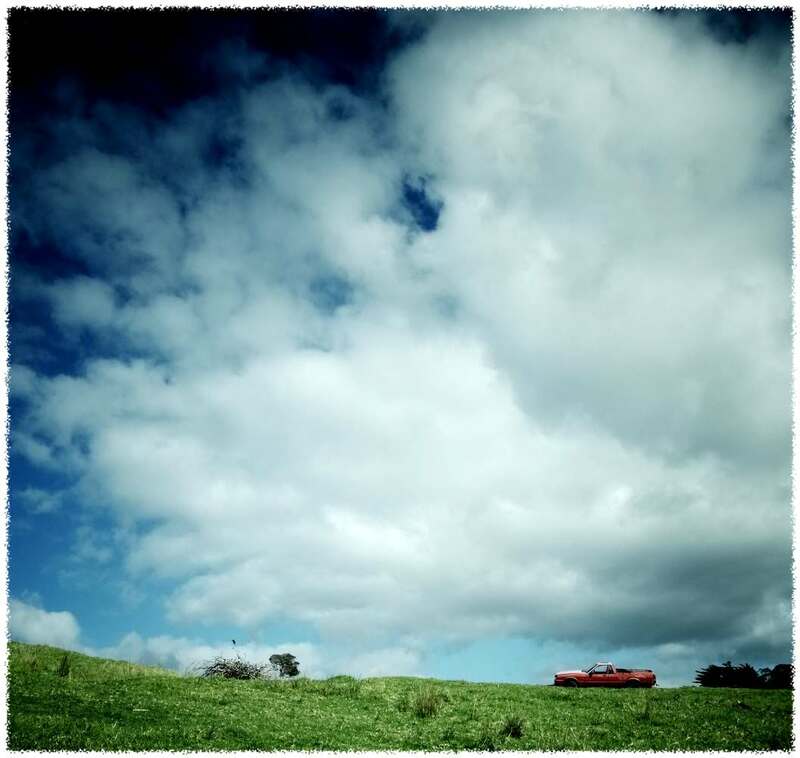 Whilst walking up a viewpoint track I spotted a ute abandoned on someones farm. I always find it curious farmers seem to run their vehicles until they stop and just leave them there – theres probably a photographic book on that topic alone! Taken on the Ricoh and post cropped to remove some of the foreground which had dark shadows. I started taking some images on the Rollei 35 today also, so am looking forward to seeing how they turn out when I finish the film. Staying at an area called Gulf Harbour tonight. Looks to be some good snap opportunities for Sunday ahead!